Honey-Can-Do TRS-03553 Colorful Steel Step Trash Can, Purple. A contemporary and cheerful addition to any room, this 12L trash can is the perfect size for a kitchen, dorm room, or home office. The sturdy construction and robust design stand up to daily use. A steel foot pedal provides hands-free operation to keep germs at bay. A plastic inner trash bucket is fully removable for easy emptying and cleaning. The purple, hand print resistant exterior is easy to clean and features a metal fold down carrying handle. 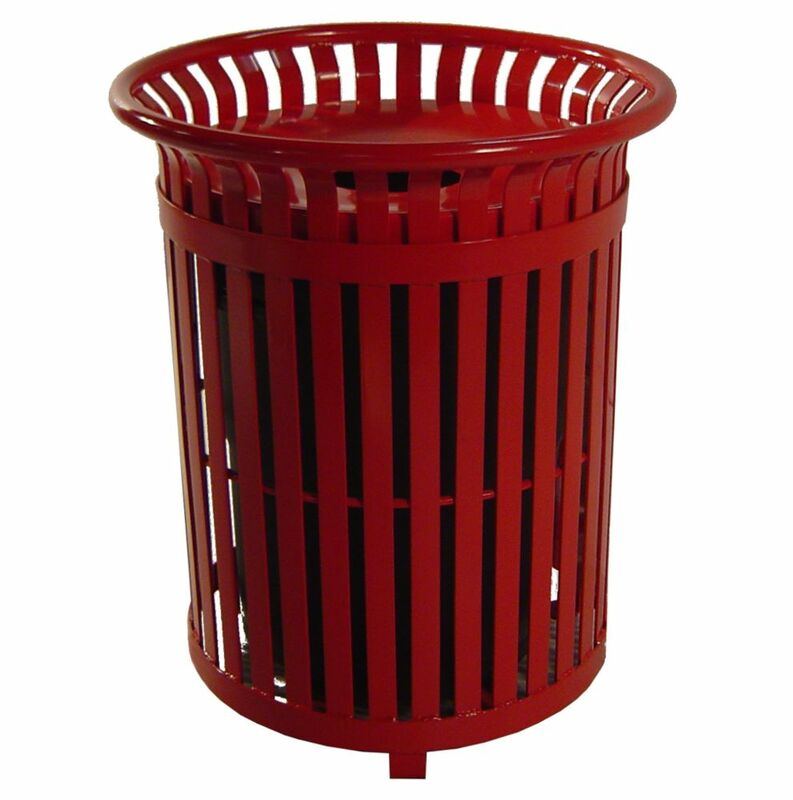 Honey-Can-Do TRS-02228 2-Tone Steel Step Trash Can, Red. A contemporary and colourful addition to any room, this 3L trash can is the perfect size for a dorm room, bathroom, or home office. The sturdy construction and robust design stand up to daily use. A steel foot pedal provides hands-free operation to keep germs at bay. A plastic inner trash bucket is fully removable for easy emptying and cleaning. The bright red, hand print resistant exterior is easy to clean and features a metal fold down carrying handle. 34 Gal. Red Steel Outdoor Trash Can with Steel Lid and Plastic Liner Paris Premier Benches are a welcome addition to any setting. They provide classic good looks, comfortable contours and rugged durability. The fully welded, all-steel construction means that no assembly is required. The thermally bonded powder coating also assures long-lasting beauty.